Reaching out to your representative? Download our Policymakers’ Guide! “Cooperating for a Better Tomorrow” includes infographic statistics on cooperatives, along with key legislative priorities for cooperatives in 2019. NCBA CLUSA is pleased to announce the 2019 edition of its Policymakers’ Guide—information and recommendations for the 116th Congress and cooperators reaching out to their Congressional representatives. 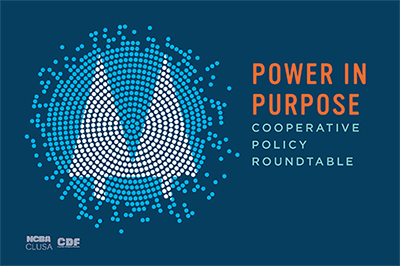 “Cooperating for a Better Tomorrow” outlines how policymakers can create economic opportunity for Americans and people around the world by providing the critical financing and technical assistance cooperatives need to flourish. 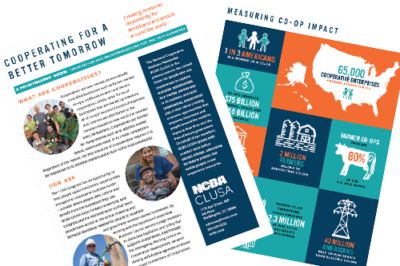 Our guide includes infographic statistics on cooperatives, along with key legislative priorities for cooperatives in 2019: small business job creation, fair tax treatment, rural economic growth, and building a resilient future globally. The 116th Congress has an opportunity to help people capture economic opportunities through the cooperative businesses—a model in which people own, control and benefit from the businesses they use. One of the best ways to get co-op issues on the radar of lawmakers is to invite them to visit your co-op and learn about your legislative priorities directly. 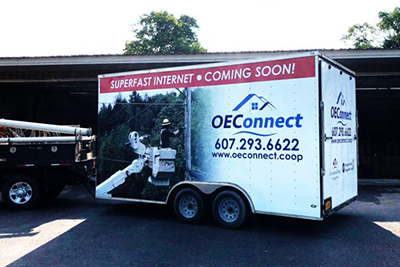 As a cooperator, you are the business model’s best advocate, knowing the ins and outs of your business in ways that every member of Congress would benefit learning from. If you’d like to set up a meeting with your representative or have any questions about our Policymakers’ Guide, please email advocacy@ncbaclusa.coop. NCBA CLUSA’s Advocacy team is here to work on your behalf and make the process as easy as possible.